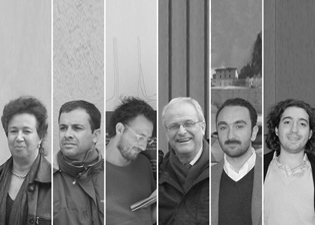 Guido Ferrara, Giuliana Campioni and Nicola Ferrara are architects, town planners and landscape architects. Environmental and Landscape design are the main concern of their activity. They have been involved in several schemes regarding landscape planning and design of open spaces in urban areas, resources analysis and assessment for tourism and recreation. They have experience in advising regional and local gouvernement on planning and landscape design for residential estates. The review of the experiences regards: studies of environmental assessment and impact; schemes and rules of protected areas and natural parks; schemes of public urban parks; urban design for public gardens or for street and square; integration in the landscape of architectonic and technological plants of particular impact, or recovery of degradation areas and/or mitigation of eminent buildings.